Life's Sweet Journey: Safe & Wild// New Shop Happies Coming Soon! 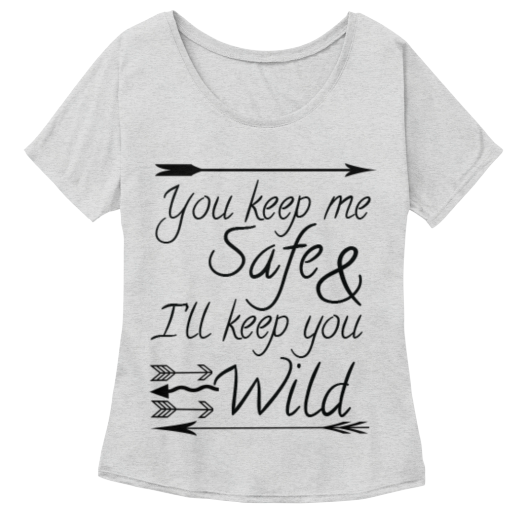 Safe & Wild// New Shop Happies Coming Soon! I've been working away to build up my shop and I am so excited for my newest addition to get here!! While I am waiting on pins and needles to see them in finished form, I figured I would share the pre-printing prettiness with you! 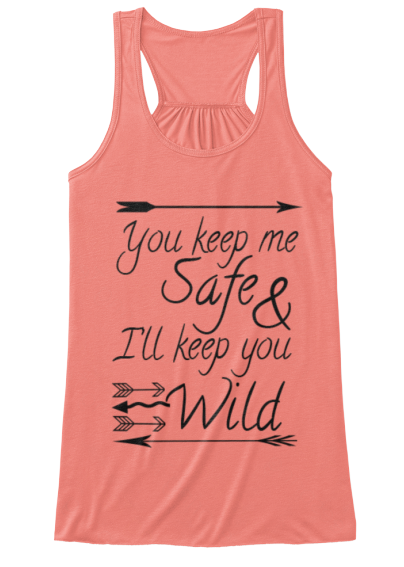 "You keep me safe & I'll keep you wild" is one of my favorite quotes, because I think it perfectly embodies Babe and me- as well as a lot of adventurers! It seems to me that someone is always the safe keeper, while the other is the wild soul. In our case the wild soul would be me! It takes a brave heart to love a wild soul and I can't wait to get my hands on these and slip into it! As I continue to grow, I wanted to offer up my products at my price. You can currently get these shirts at the price I pay for them! Once they reach the shop they will go up a bit. Also, not all colors and designs will make their way into the shop. So if there is a color or design you want to make sure you get, you can use the links below to grab one! I am giving away a tank or tee to two lucky winners (color and design of your choice), one through this post and one through Instagram. Enter here by joining Life's Sweet Words email list for shop updates and discounts! Simply subscribe using the form below, then check the Enter button in the giveaway box! Join the Journey through email! Head over to Instagram to double your chances! What's your favorite way to keep it wild? Hiking, rock climbing...? Whatever it may be I hope you find yourself adventuring soon! Happy Things 2016 Linkup// February Happies! 5 Fun Facts for Friday!